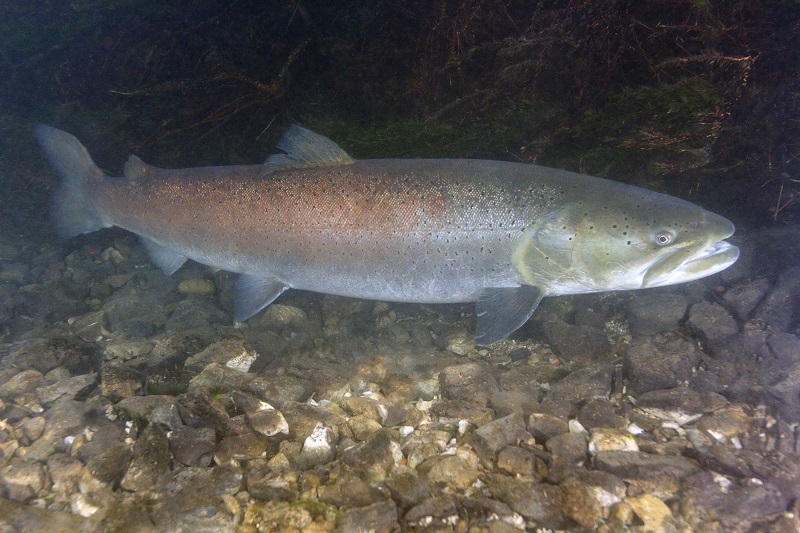 If you are interested in unusual freshwater fish, you have possibly heard about the taimen (Hucho taimen), a very large predatory salmonid which lives in remote parts of Mongolia, Russia and some other areas of North Asia. This species was already covered in an episode of River Monsters with Jeremy Wades and also in the National Geographic Monster Fish series with Zeb Hogan. The habitat in exotic and remote areas outside the western world clearly increased the nimbus of the taimen as an elusive monsterfish. It is much lesser known that the taimen has a close and nearly equally impressive relative which lives even right in the centre of Europe. 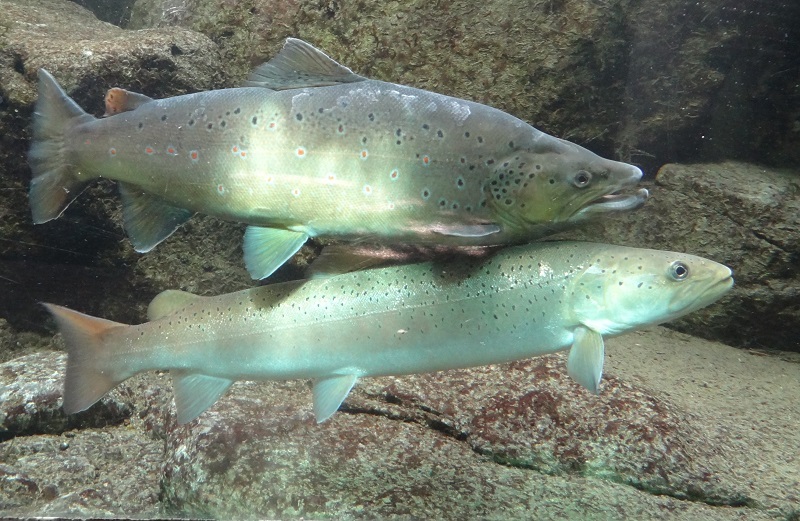 The name of this fish is Huchen (Hucho hucho), sometimes also still called Donaulachs (Danube salmon) in German. Despite this old name, the huchen is no real salmon. 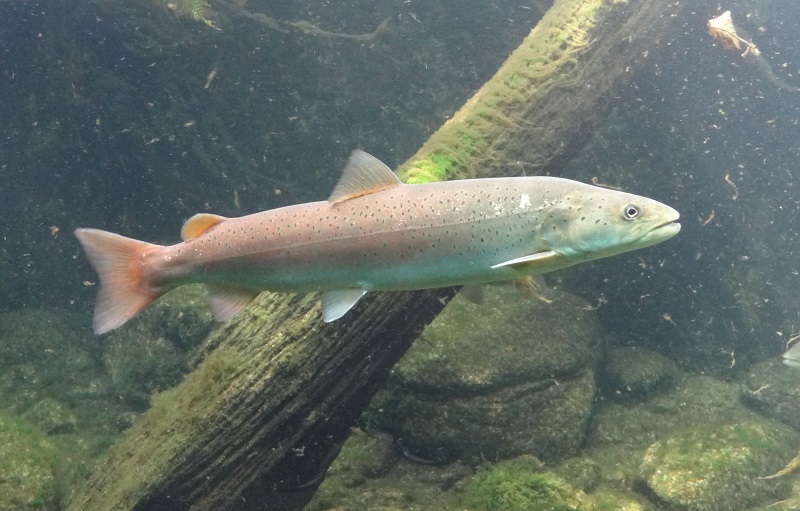 The genus Hucho represents together with the related Brachymystax genus a unique clade within the Salmoninae subfamily of Salmo, Oncorhynchus, Salvelinus, Parahucho and Salvethymus that includes the very diverse and numerous trouts, salmons and chars. For such a big predatory coldwater fish it is surprisingly colourful, with copper-red flanks at the back-half of its body. It has also an unusually large adipose fin. Juvenile Huchen of about 40 cm, Wilhelma Zoo, Stuttgart. It lives with several other huchen and some brown trouts in a big paludarium. The huchen lives in fast-streaming water, and has a very elongated and spindle- shaped body. In cross-section, most of its body is nearly round, unlike those of trouts, salmons or chars, which have an oval cross-section. The head of the huchen is comparably flat with a very wide mouth, and its jaws and tongue are equipped with well developed teeth. In contrast to many trouts, salmons and chars, male huchen never grow a hooked mandible during the mating season. Mouth of a taxidermy huchen, Haus der Natur, Salzburg. It is a voracious predator which feeds on other river fishes like the common nase. It is also well known to attack tetrapods on occasion. Small rodents and small birds like kingfishers or dippers were already found in the stomaches of huchen. For this reason, baits which imitate swimming rodents are quite popular huchen lures. In earlier times lampreys were also an important component of their diet, but those primitive vertebrates have become quite rare today. There is even a traditional bait called the Huchenzopf which imitates a group of small lampreys. Old models were usually made from a lead weight and pieces of leather or rubber tubes, today the are usually made with soft rubber. The original range of the huchen is restricted to the fast-streaming and clean tributaries within the basin of the river Danube, as well as a few lakes like Lake Plav at Montenegro. There were also unsuccesful attempts to introduce it to rivers in France, the Netherlands and Great Britain. Surprisingly such artificial stocking was however successful in some rivers at Spain and Morocco, but those populations are not sustainable. According to one single source I could find, specimens from the Bulgarian huchen populations occasionally swim into the coastal waters of the Black Sea. But I could sadly find no further information about this. It would be extremely interesting to know if this is really true, and if huchen show also similarly strong morphological changes in colour and body shapes as sea-dwelling brown trouts, rainbow trouts or chars. The huchen also lives and even breeds in the river Isar, even right within the city of Munich. That´s really an unusually non-exotic home territory for such an enormous and generally little known near-megafish. Just keep this in mind should you ever go visiting Munich. You´re walking there alongside a river inhabited by the second largest non-anadromous salmonid of the world. The huchen is usually the largest predatory fish of the fast-streaming and comparably cold waters where it lives. It reaches often lengths of over a meter, and record specimens can reach at least lengths of 1,30 –1,44 m and weights of around 30-40 kg. You can see some photos of exceptionally big specimens here. Of course there are as usual stories of bigger ones, but as big-fish-stories are notoriously untrue and the largest claimed sizes for fishes are quite often unconfirmed anecdotes and hardly trustworthy, I prefer to stay on those lengths for which we can find confirmed data. But even then, the huchen is a huge fish. Among the non-anadromous fish of middle Europe, only the wels catfish grows considerably bigger. It also exceeds the largest ecotypes of lake dwelling brown trouts (Salmo trutta) and even the official angling record specimens of the northern pike (Esox lucius). Only the very largest Atlantic salmons (Salmo salar) reach similar record lengths and even higher weights, like the historical monster specimen covered some time ago. But this salmonid is anadromous and gains its size in the sea. For a pure freshwater fish which lives in comparably shallow and cold streams, the huchen is a true giant. Here is a Huchen of 130 cm lenght and a weight of 25 kg, 125 g which had a 79 cm girth. Caught in 1961 in the river Loisach near Eurasburg. 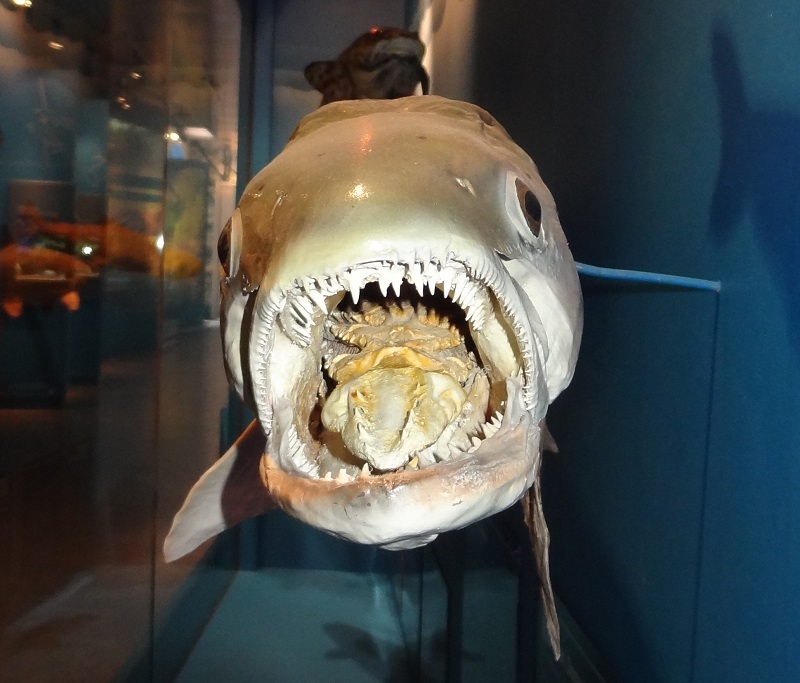 Photo taken at Deutsches Jagd-und Fischereimueum (museum of hunting and fishery) Munich. Sadly – and not really surprisingly- the huchen isn’t doing well. As many other fishes which need clean and oxygen- rich streaming water, it suffered considerably from pollution and changes of the original shape of the streams. One of the most serious problems is the loss of most of its spawning grounds. The huchen needs clean gravel in fast streaming and clean water for its spawn. But such areas have significantly decreased in number. Another problem is the decrease of prey fish for the young huchen, like the common nase (Chondrostoma nasus), a cyprinid which populates the same streams as the huchen. Its fry is among the most important prey items for small huchen. Today the huchen can only survive in many streams due to artificial stocking. It is a good thing that this works at all, and that a few adult specimens can produce vast numbers of eggs which can be used to breed thousands of young fishes. But the other side of the medal is a massive reduction of genetic diversity in those fish. That is one reason why it is so important to make sure that specimens of endangered species should be able to survive and reproduce in the wild. Dieser Beitrag wurde unter Blogposts in English, Fische, Megafische veröffentlicht. Setze ein Lesezeichen auf den Permalink. Überaus interessant, ich wusste garnicht das Huchen noch in der Isar vorkommen. Genauso wie ich nicht wusste das sie so gewaltige Zähne hatten. Es ist erstaunlich wie viele Grossfische in der Donau leben oder lebten – Welse, Zander, Hechte, Barben, Karpfen, Hausen, Störe, und Schwarzmeerforellen. Aber da würde sich mir eine frage stellen – bewohnen Huchen und Zander nicht in the gleichen Habitate und sind von ähnlicher Grösse mit einem ähnlichen Beuteschemaß Wissen sie ob es irgendwelche konkurrenz zwischen den beiden Arten, und ob der Zander sich das verschwinden des Huchens zu Nutze gemacht hat, ähnlich wie er es beim verschwinden des Hechtes tut? Ich hoffe das meine fragen sie nicht nerven. 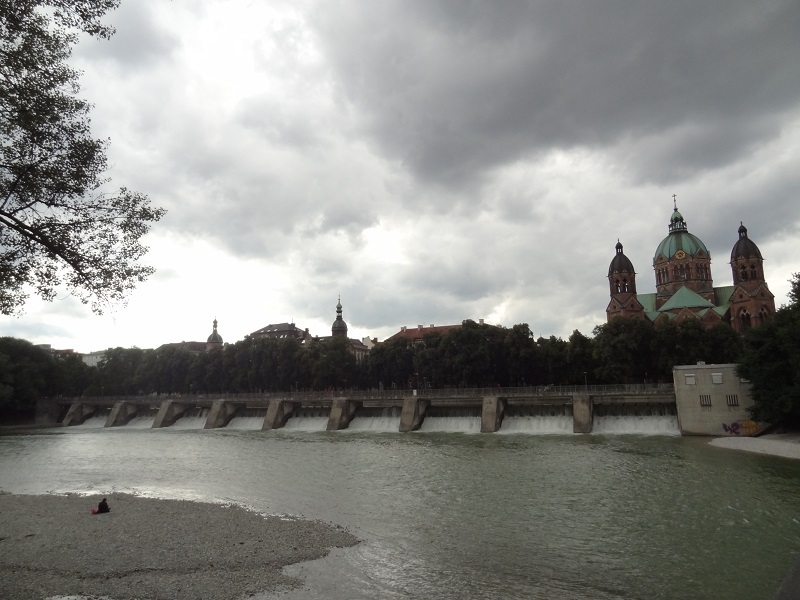 Die Donau ist ja ein extrem vielgestaltiger Fluss, welcher sowohl flache sauerstoffreiche Abschnitte mit Kiesgrund und starker Strömung beinhaltet, wie auch flache und relativ trübe Deltas und Altarme mit sehr schwacher Strömung, schlammigen Boden und relativ wenig Sauerstoff. Der Huchen ist ja auch ein Bewohner der relativ flachen, schnellfließenden Zuflüsse, also eher eine klassische Barbenzone. Zander dagegen bevorzugen langsamer fließendes und tieferes Wasser mit weniger Strömung, dahingehend sind beide Arten nur bedingt miteinander in Konkurenz, selbst wenn sie sich in manchen Übergangszonen sicher auch mal über den Weg schwimmen.